View More In Food Preparation Equipment - Page 4. The American Metalcraft DRB18230 Dough Box allows proofing and protection for your dough. 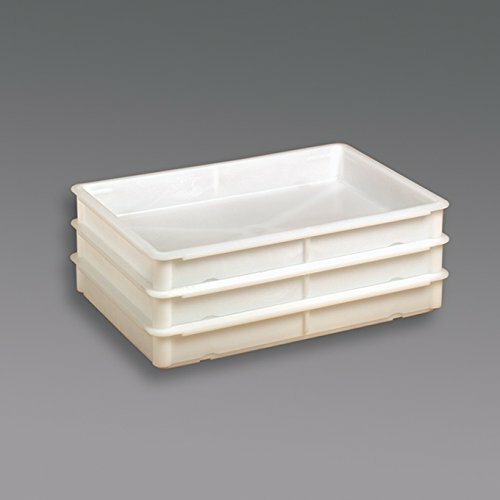 White in color and made with a plastic, ABS construction this dough box is sturdy. It boasts reinforced sides, corners and edges to make stacking safe and kitchen process that much more efficient. Measuring 3-inches wide by 3 1/2-inches deep, this dough box can handle a lot of dough without spending a lot of dough! It is also interchangeable with select other American Metalcraft models for your overall convenience. With 70 years of service, American Metalcraft is a leader in the foodservice industry for trend-focused and unique products.